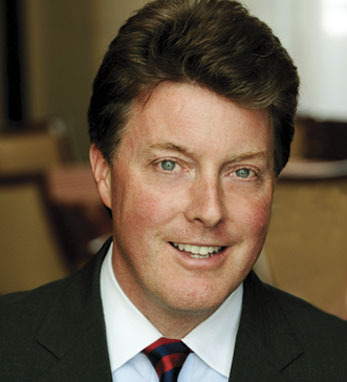 Brian Ruane is Executive Vice President and Head of Financial Institutions at The Bank of New York Mellon. He is responsible for relationships and business development for Broker/Dealers, Banks and Hedge Funds globally. Ruane also sits on the Board of Pershing LLC, the bank’s NYSE Broker/Dealer and BNY Mellon Financial Services PLC, the bank’s Irish domiciled bank. Ruane graduated from Colaiste Eanna in Dublin in 1982. In 1989, he graduated from The Chartered Association of Certified Accountants in the U.K. and Ireland. In 1995, he received his MBA from The Zarb School of Business, New York, and in 2004, he was asked to sit on The Federal Reserve’s Working Committee on the Future of the U.S. Treasury Market. His father comes from Crossmolina, County Mayo and his mother is from Drumhaldry, County Longford. He and wife Anna Lynch, who is from Dublin, live in New York with their four children. Ruane sits on the advisory boards of the UCD Michael Smurfit School of Business, Dublin, and the Zarb School of Business, New York.